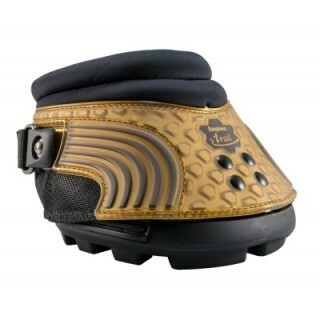 Short description: Easyboot New Trail from Hoofboot COACH - the perfect hoofboot for transition and beginners ! Sold individual - no left and right boots ! 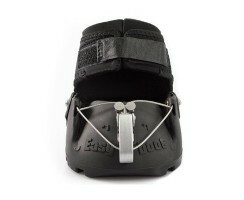 The Easyboot Trail is the easiest hoof boot in the world to apply and remove. The attachment system assures booted success throughout the trim cycle. The boot opens up completely to easily slip on and off over most hoof shapes and sizes. 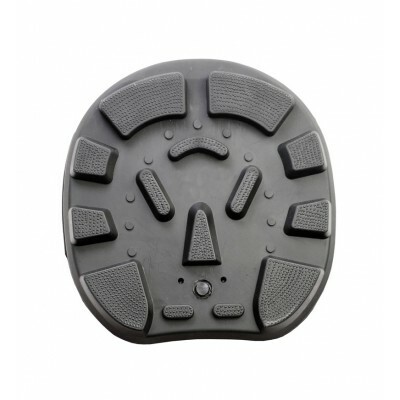 The rear double Velcro® attachment protects the entire hoof wall and keeps the boot firmly in place. EasyCare Gaiters are an optional accessory (sold separately).
? Opens wide to get the hoof in and fastens with Velcro®. No additional buckles or straps to negotiate.
? Offered at an entry-level price point: One of the most affordable boots on the market today.
? Tough polyurethane sole offers excellent durability and grip on all terrain. 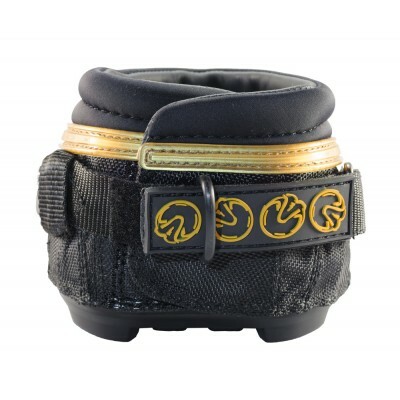 The Easyboot NEW Trail is the easiest hoof boot in the world to apply and remove. The attachment system assures booted success throughout the trim cycle. The boot opens up completely to easily slip on and off over most hoof shapes and sizes. 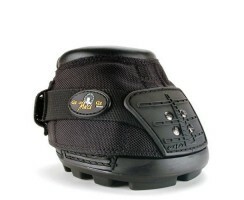 The rear double hook and loop attachment protects the entire hoof wall and keeps the boot firmly in place. It's the perfect boot for transition from shoed to barefoof and for hoofboot beginners. Code*: What results in 2 plus 5?